Backlinks factor makes it possible to rank on google and get all the traffic that you want,has blood is to give life to any living thing.Of all the backlinks you could get,Social backlinks are the best to keep your website ranking and getting the best targeted traffic you will ever need to make money. 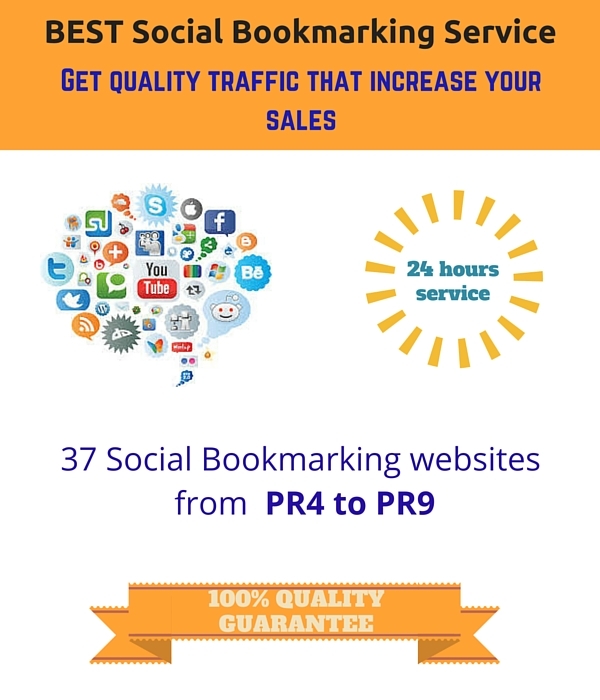 I will submit your website or blog to 37 Social Bookmarking websites PR4 to PR9 in just one day! If you are serious about getting quality traffic that increase your sales, then you need to click the button ORDER! I am Half Swedish, Half French Speak 5 Languages: English, French, Hebrew, Bedouin Arabic & Swedish. SEO and Google Adwords Sertified, Social Media, Life Long Learner, NLP Practitioner and Coach, Personal Development, Internet Entrepreneur & Marketer, Adventure Travel Pro, Mom.